It’s a big deal to have someone visit your church for the first time. Connecting with your guests after they visit is an even bigger deal. Depending on the size of your church, it is possible for people to sometimes have the perception that they are just a number, or just a face in the crowd. Your follow-up process and connecting with your guests can make a big difference toward changing that perception. Getting contact info from a guest is the key. There are many creative ways to encourage a guest to provide their contact information (specifically their email or home mailing address). The bottom line is you want them to feel valued and not identified as potential targets (otherwise you won’t be connecting with your guests after they visit). You want your guests to know you will respect their privacy with the information that they give you. Normally the best place for your guests to write their contact info is on a card in the bulletin (or back of the seats). Guests would be prompted during the service to complete the card and turn it in during the offering, at the door on the way out, or take it to a location in the lobby (where they might even get a free gift). Once you secure this info, it is wise to act on it quickly. Sending out a follow-up email within 24 hours is a good start–especially if you track their responses. This email could include a short survey about their Sunday experience. It is also a nice touch to send something to their physical address. Add an extra touch by having a team that can create a handwritten card or a simple gift card. This may include an email at the one-week and one-month mark. Both of these emails can have a very friendly tone to them, highlighting some current activities at the church that might serve as a “hook” to get them to come and visit again. A key is for the guest to never feel guilt about not coming back, but to feel valued and invited to return for another visit. Have these emails come from a specific person–include their contact info for any other questions the guest might have. While the word “connection” is somewhat overused in society today, it is a vital word when talking about your guests. 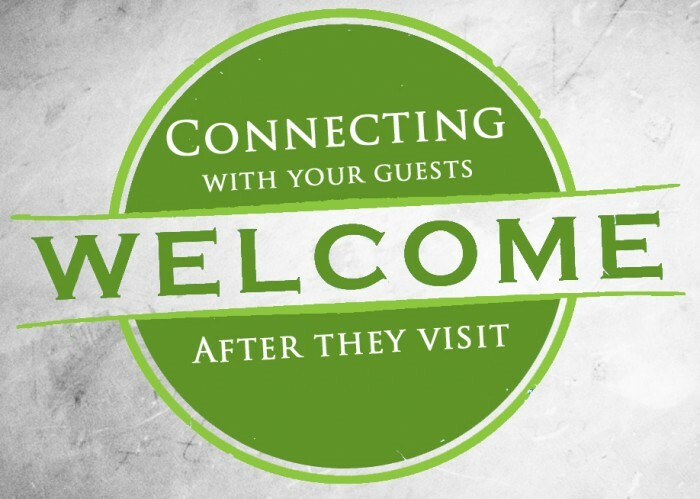 Connecting with your guests after the visit can make the difference between whether they come back or not. Guests at your church deserve your best efforts from your service teams; they deserve thoughtful, strategic communication in every environment. Work hard to connecting with your guests, and you will see more of them return. Every guest on your campus is the most important person you will minister to this year. Great post Matt and great reminders. I think after reading I’ve decided to go back to sending out an email at one month after the first visit…something I have lazily allowed to slip:). The guest experience is such an important part of what happens every weekend. We are all in the same boat of having so many things that scream out for our time and attention–it is hard (but so important) for each guest to feel like they have received attention from our church in a way that they feel cared for. Let us know if you have some other effective practices that you have been using at your church.